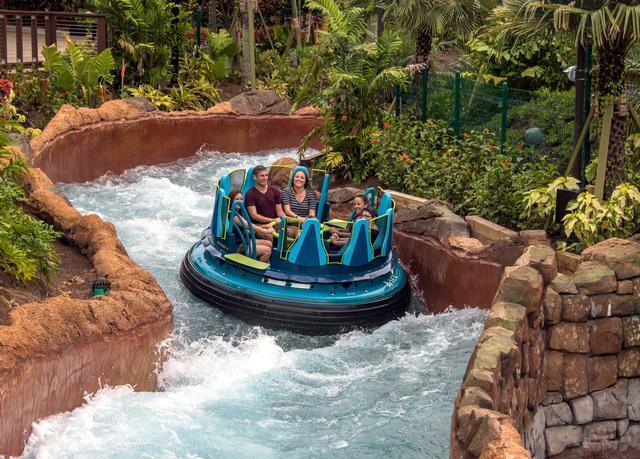 Infinity Falls is an excellent rapids ride in Rides and one of the best attractions at SeaWorld Orlando. The minimum height to ride is 42 inches. Opened officially on October 4, 2018, Infinity Falls is the centerpiece of a new South American rainforest section of the park. This Intamin ride features a vertical lift leading into a 40-foot drop into the river.